DWR Distribution is delighted to supply CableJoG to the South African market. 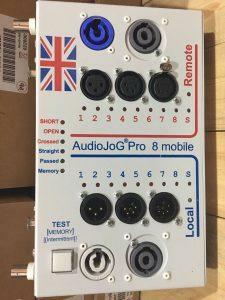 Based in the United Kingdom, CableJoG design, manufacture and distribute a range of cable testers from 8 test points in the case of the AudioJoG Pro 3 audio cable tester through to 1024 in the CableJoG 512 cable tester with the extra 512 adaptor. Eddie Zych, founder, director and designer of CableJoG recalls initially meeting DWR’s Robert Izzett at PLASA a couple of years ago. “I seem to remember Robert coming to the stand and giving me quite a hard time but then sharing a table at the Price of Wales pub,” said Eddie. Rob purchased a couple of testers for office use at DWR at the time and has subsequently had many customers asking for them. All cable testers have at least one memory option enabling rapid testing of similar cables. 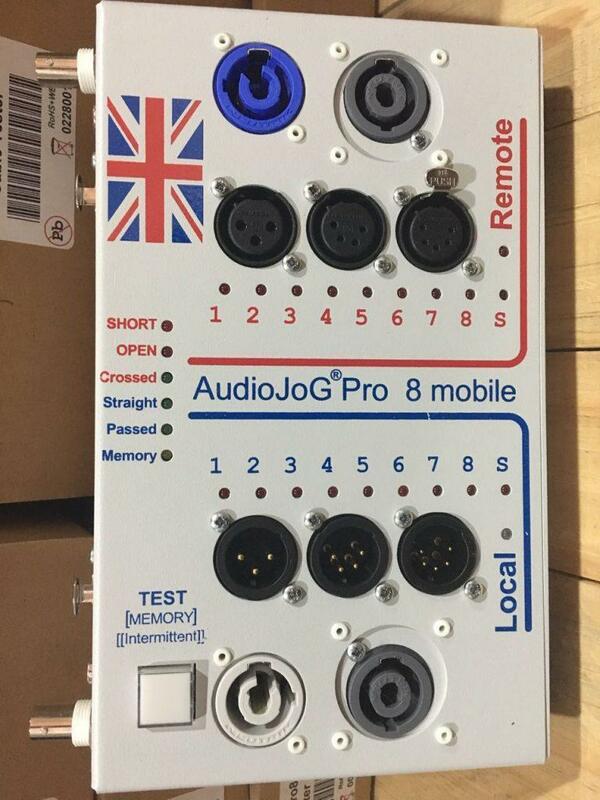 All CableJoG’s testers test every pin against every other pin regardless which ‘side’ of the cable tester the cables are plugged into. This means that shorts across unconnected pins are automatically identified. All testers check for continuity. The minimum resistance detected varies from model to model but, is always sufficient for a whole roll or reel of cable to be tested. The RibbonJoG is designed to test standard 2.54mm by 2.54 IDC ribbon cable but with adaptors can just as easily test the smaller pitch versions. The AudioJoG cable testers are designed for the Audio Professional who needs to check a variety of audio leads. Using two AudioJoG cable testers it is possible to test the cable in situ without bringing the cable ends together into one unit. Testing is carried out from the local end, however the results can be seen at both ends. The AVjog range is taking cable testing to another level. Once the cable is plugged in and the test button pressed the tester does the rest by identifying the type of cable connected i.e. HDMI or DVI.